1. Ankle Plantar Flexion (after heel strike) – The tibialis anterior is the primary muscle to ECCENTRICALLY control the ankle during this relative ‘plantar motion’. It is also a muscle which can invert the foot, and so it will play a role in the ‘eccentric eversion’ or ‘eccentric pronation’ (next). The long toe extensors also have an assisting role in this eccentric plantar motion. 2. Subtalar pronation – Friction between the calcaneus/heel and the ground increases, with this, the talus slides anterior and medially while the tibia internally rotates (the same motion we saw in the previous MWM video!). The end result is that the foot rolls inward and the arch flattens during the gait cycle. Foot pronation (eversion, abduction, dorsiflexion) is one shock absorbing mechanism which allows our foot to adapt to the floor. 3. Knee Flexion – This is INITIATED by the 1st shock absorber mechanism…can you think why? Think of the muscles eccentrically active – the Tibialis Anterior and Ext. Digitorum Longus. 2. With both insertion points on the foot being ‘pulled’ into plantar flexion. 4. Creating a forward motion of the tibia! This is of course then, slowed by ECCENTRIC contraction of the quadriceps. Interesting application: Many stroke patients have poor muscle strength and control during gait rehabilitation. Hyperextension during stance phase could be due to weak/inactive ankle dorsi flexors, not initiating knee flexion. 4. Contralateral pelvic drop – Downward impact forces are absorbed by eccentric ipsilateral hip adduction (primarily the gluteus medius). This occurs as the body weight is suddenly dropped on the limb. Application: Too much of this ipsilateral hip adduction in stance phase is considered as ‘Trendelenburg Gait’ (as seen in the picture b). 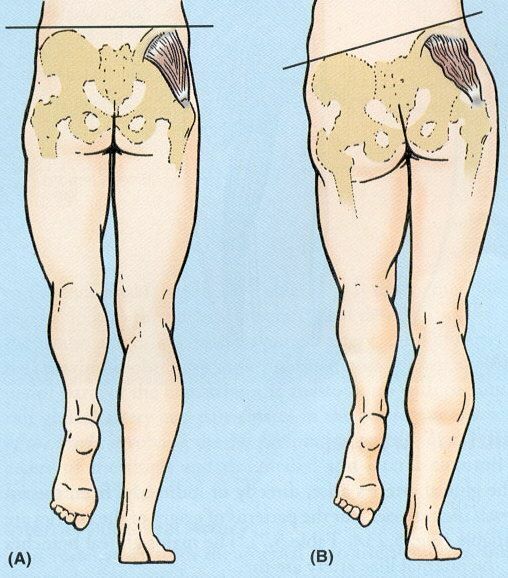 This can be caused by weakness of the gluteus medius and minimus…or a lesion of the Superior Gluteal Nerve. These shock absorbing mechanisms obviously play an important role in protecting our joints and other soft tissues. 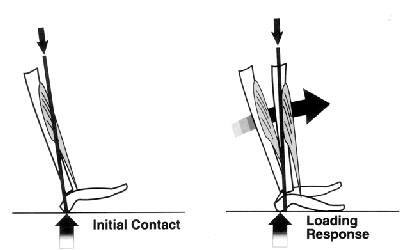 But does a runner want much heel strike (#1) as this would produce a posterior reaction force from the ground, slowing them down. This is mostly seen in over stride which is where your foot strikes and loads too anterior to the body and can be a cause of knee pain. 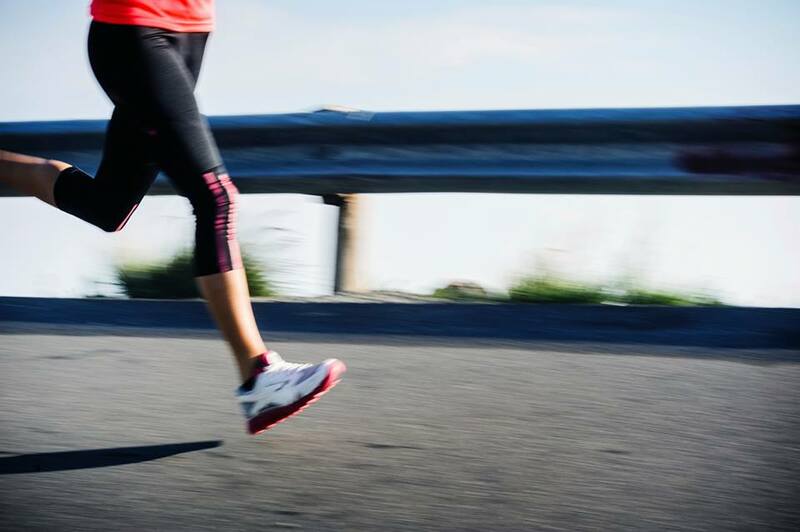 Over striding reduces your cadence (number of times an athletes feet strike the ground per minute) and so can reduce energy efficiency. How much pronation (#2) does a runner need, as for the propulsion phase they must have a rigid lever which foot supination provides – explained in this video. When the contralateral hip drops (#4) what will that do to the leg in the swing phase before it lands? Its going to guide it more medially which can produce cross over gait. These are great basics to think about when looking at people walk and run. Adding these pieces to the puzzle will make the picture clearer and clearer. In the beginning I had to learn not to be put off by what I cannot see when watching people, you develop an eye for gait the more you pay attention to it!